Jordy Smith Wins Ballito Pro presented by Billabong. 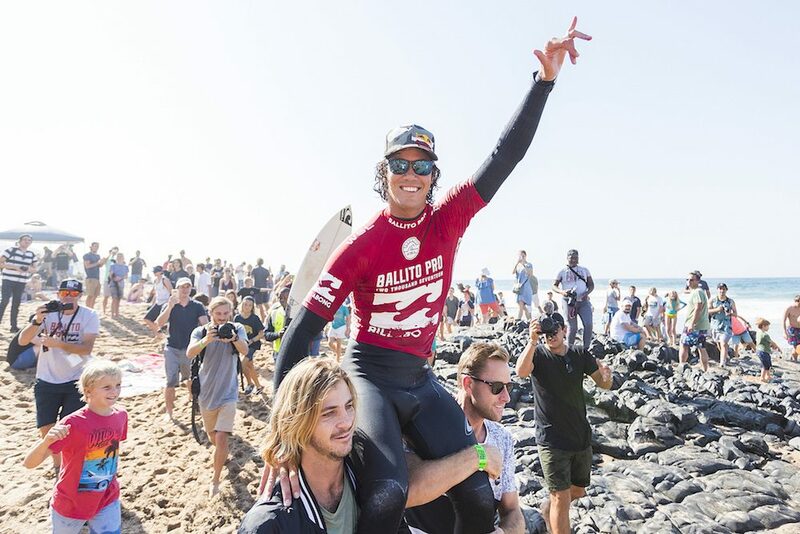 Jordy Smith won the Ballito Pro presented by Billabong in front of a packed beach of partisan spectators today, defeating powerful Brazilian Willian Cardoso in a pulsating final to add the 2017 event title to his previous victory in 2010. The big South African overcame a stomach bug that almost derailed his charge in mid week to reach the final of the first World Surf League QS10,000 rated event of the year where he used his trademark repertoire of aerial manoeuvres to post an impressive heat total 18.06, including near perfect 9.73. “I had a bit of a slow start, but I ended up sticking that first air and from there I was actually enjoying my surf out there and just taking my time as the waves came through,” said Smith. “Eventually I got that one wave with a nice section and got one of the biggest ramps all week and just went for it and I landed it. “I’m really happy with my performance this week and hopefully I can take this momentum to J-Bay. Willian is a tenacious competitor as all the Brazilians are. He’s one of the most powerful surfers in the world and we’re both bigger guys so we were matching fire with fire. His haul of 10,000 points sees Smith jump straight into fifth position on the QS rankings along with a massive boost of confidence as he heads to Jeffreys Bay for Stop No. 6 of 11 on the WSL Championship Tour starting on Wednesday where he is a former two-time event winner. While he was disappointed not to claim the win, Cardoso was happy with his runner-up finish, which bumped him up into No. 2 on the QS rankings heading into the second half of the year. “I knew with Jordy it was going to be crazy in that heat and I tried to find the really good waves, but I just found one,” said Cardoso. “I’m just super stoked to be in the final, it’s been about two years since I was in a final so it’s really good to be in that position again. Cardoso’s patented power moves saw him charge past Vasco Ribeiro in the quarterfinals and Mikey Wright in the semifinals on his way to the final. Wright had delivered the highest single ride and heat total in the event with his blend of powerful carves and progressive aerial manoeuvres. 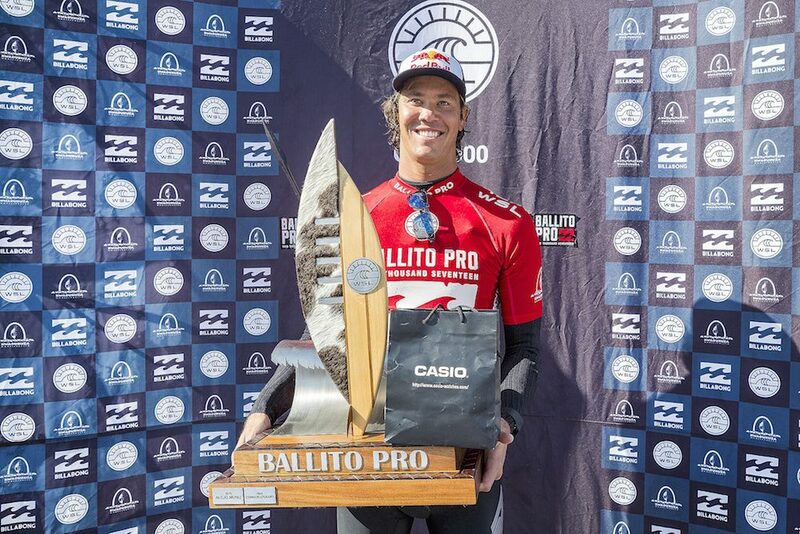 But the brother of reigning WSL Women’s World Champion, Tyler, and men’s world title contender, Owen, came up just short against Cardoso and finished equal third at Ballito. Crowd favourite Michael February had an incredible run through the event, posting his career-best result on his way to third place after suffering a narrow loss to Smith in their all-South African semifinal encounter. The Capetonian matched Smith ride-for-ride in the early stages before the heat burst into life in the last five minutes with a flurry of rides that saw Smith nail down his berth in the final with back-to back excellent rides that February could not equal as time ran out. “When you surf against Jordy you’ve got to be at your best, he’s so good, and it was pretty cool to watch him from the water,” said February. “It’s awesome to surf against him because he is such an amazing surfer. And to have a heat against him at this stage of the contest is really good for me. At the end of the contest you’re always going to surf against the best in the world, and Jordy is definitely one of them.